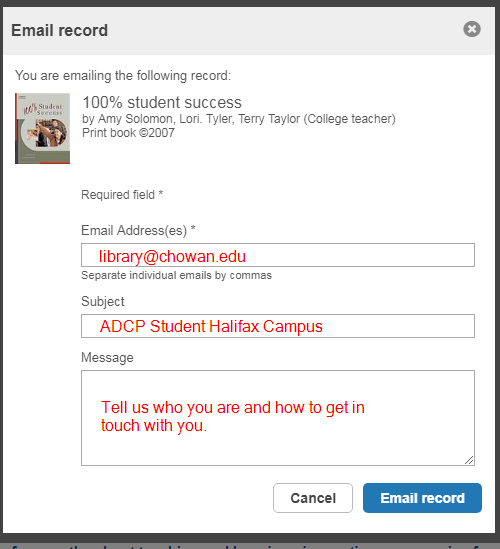 In addition to the library services available to all students, Adult Degree Completion students can request resources the library owns to be sent to the Halifax campus. 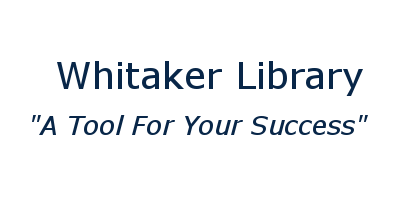 Find the item you need in Whitaker Library's catalog. On the catalog record is a link to email the information the library needs to pull the book. (See the picture below.) Email the item record to library@chowan.edu. Tell us that you are an Adult Degree Completion student, and you would like the library to send this item to the Halifax campus. Include your contact information. One of the library's staff will contact you about the best way to send the book to you.